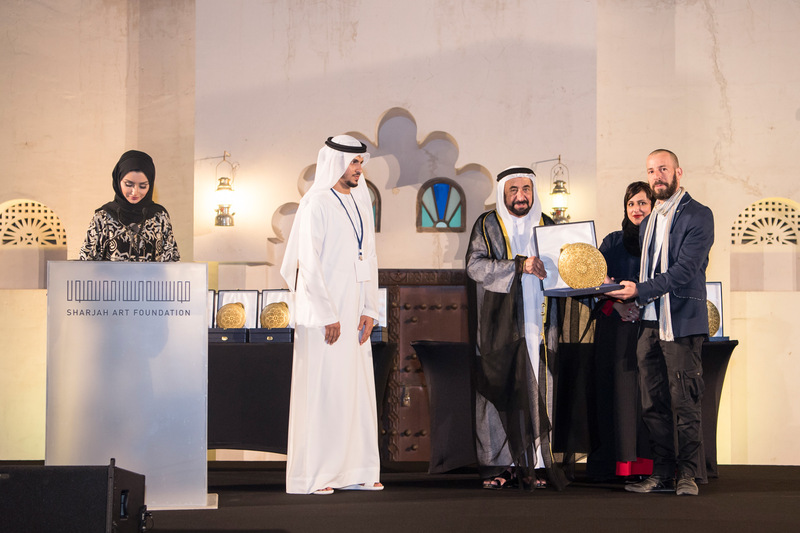 Artists İnci Eviner, Uriel Orlow, Dineo Seshee Bopape, Walid Siti and the late Ali Jabri were awarded for their outstanding contributions to Sharjah Biennial 13: Tamawuj. Sharjah Art Foundation announced the 2017 Sharjah Biennial Prize recipients on 10 March during the opening night of Sharjah Biennial 13: Tamawuj. The recipients of this year’s prize were İnci Eviner, Uriel Orlow, Dineo Seshee Bopape and Walid Siti. An honourary mention was awarded to the late artist Ali Jabri. The SB13 Prize jurors were Adriano Pedrosa, Artistic Director of Museu de Arte de São Paulo Assis Chateaubriand, Brazil; N'Goné Fall, independent curator and cofounder of GawLab Collective Dakar and Dr Youssef Aidabi, Advisor at the Dr Sultan Al Qasimi Centre for Gulf Studies. For more information about Sharjah Biennial 13 please click here. The Sharjah Biennial Prize was established by Sharjah Biennial in 1993 and is now awarded by Sharjah Art Foundation. The honoured recipients are selected by a distinguished jury appointed by SAF. The Sharjah Biennial Prize is given upon the jury’s sole discretion and can be granted to any number of artists.